Established by our former principal, Miss Silcocks, in 1949, the Student Association is one of the oldest student bodies among local schools. For years the Student Association has nurtured generations of student leaders and promoted self-government. The association aims at fostering students’ sense of belonging to the school by organising a wide variety of extracurricular activities. The association strives its best at creating a fruitful and enjoyable school life. At present, the well-established association is composed of a nine-member executive committee and five sub-committees, namely the Press Committee, the Programme Committee, the Promotion Committee, the Sports Committee and the Welfare Committee. 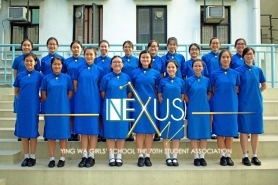 All committee members are elected by schoolmates in early October every year. At the helm in the 2014-15 school year was the cabinet ASPEN, whose mission was “Aspire to Deepen”. more, write more and exchange their thoughts. The newsletter introduces students to various hot topics, ranging from personal growth to global news. It encourages them to reflect on current issues and broaden their outlooks. In recent years, the committee has made innovative attempts by issuing short introductions on teachers and the administrative staff. The publication provides a perfect link between students and the staff. The Sports Committee aims at promoting sports and arousing students’ interest in sports. The Committee organises inter-class competitions, the Graduation Cup and various sports competitions. At our decanting campus, the whole school can now spectate events and competitions held in the open playground, which adds colour to our school life. 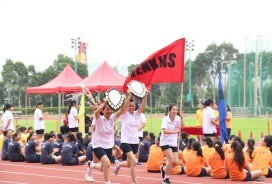 The Sports Committee and Inter-house Committee also co-organise the annual Athletics Meet and Swimming Gala. It is hoped that students can engage more in sports and have all-round development apart from their studies. Th e Promotion Committee gives publicity to activities organised by the Student Association. During events like the Thanksgiving Week and Christmas, decorations and ornaments are hung all over the school to create a festive mood. 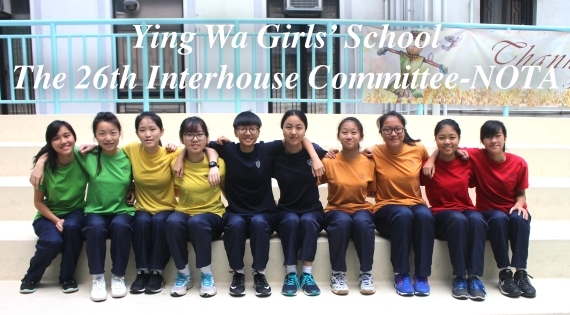 This year, to commemorate the school’s 115th anniversary celebration, a Ying Wa T-shirt was specially designed for students, parents and alumnae. 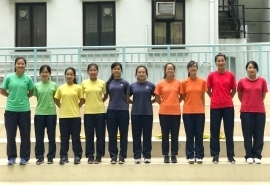 The popular T-shirts came in three colours, all printed with the slogan “Proud to be a Ying Wa Girl”. The Programme Committee coordinates different interests clubs and encourages students to participate in club activities. At the beginning of the school year, it helps with the recruitment of club members and officials. To facilitate their work, the committee offers training workshops to club officials and supervises their activities. At the end of the year, ECA records of students are collated and feedback is given to clubs to help them improve their coming activities. The Welfare Committee aims at providing welfare benefits for our students. Exercise book sales are arranged regularly to provide students with basic stationery, such as exercise books and writing paper. PE uniform sales are held before the Athletics Meet and the Swimming Gala. Moreover , the Welfare Committee negotiates discounts with shops and businesses near the school. Credit must be given to the hard work of the committee so that students can now enjoy preferential rates at various restaurants and buy bargain items at the annual stationery sale. 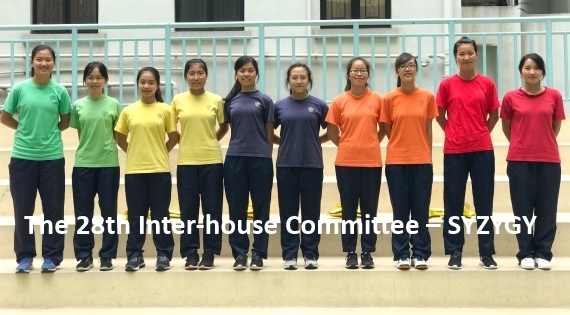 The main goal of the Inter-house Committee 2014-15, Vereinen, was to enhance students’sense of belonging to the school and their houses — Davies, Hogben, Hutchinson, Silcocks and Jenkins. To achieve the goal, the ten house captains and their teacher advisers held various activities throughout the year. 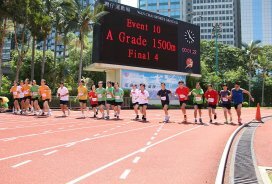 First and foremost, the committee made great effort to assist with the annual Athletics Meet and the Swimming Gala, the two main sports events of the year. 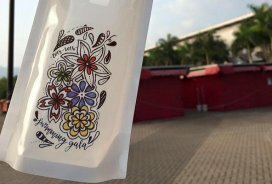 A slogan competition, Splash, was held before the Swimming Gala this year. The winning slogan“Splash in Five, Together We Strive”was printed on more than 1000 towels. These were handed out to students during the Swimming Gala, a very pleasant surprise. With many sporting the eye-catching towels (some as turbans! ), the pool was filled with gaiety and a strong sense of union of the five houses. opportunities for collaboration. 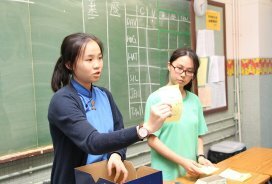 To celebrate the school’s 115th anniversary, a souvenir sale was also held. 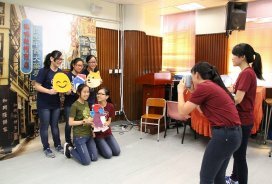 The specially designed souvenirs were widely appreciated by both teachers and students.